15 Foods That Are High In Potassium - Eating more of these potassium-rich foods can lower your risk of high blood pressure, stroke, and heart disease. 22 High-Fiber Foods You Should Eat - The recommended daily intake is 25 grams for women and 38 grams for men. However, most people are only eating around half of that, or 15–17 grams of fiber per day. Fortunately, increasing your fiber intake is relatively easy — simply integrate foods into your diet that have a high percentage (%) of fiber per weight. About Herbs, Botanicals & Other Products - Objective information for oncologists and healthcare professionals, including a clinical summary for each agent and details about constituents, adverse effects, interactions, and potential benefits or problems. Evaluations of alternative or unproved cancer therapies are also provided. From the Memorial Sloan-Kettering Cancer Center. American College for Advancement in Medicine (ACAM) - Medical society dedicated to educating physicians on the latest findings and emerging procedures in complementary/alternative medicine, with special emphasis on preventive/nutritional medicine. American Dietetic Association - Nutrition news, resources, government affairs, links to related sites. American Journal of Clinical Nutrition (AJCN) - A research society dedicated to improving the quality of life through the science of nutrition. The Society fulfills its mission by fostering and enhancing research in animal and human nutrition; providing opportunities for sharing, disseminating, and archiving peer-reviewed nutrition research results (at its annual meeting and in its publications, The American Journal of Clinical Nutrition and The Journal of Nutrition). Arbor Nutrition Guide Web-based resource that branches out to provide access to an extensive selection of electronic resources in the areas of applied and clinical nutrition, food, and food science. B12 - Vitamin B12, also called cobalamin, is important to good health. It helps maintain healthy nerve cells and red blood cells, and is also needed to make DNA, the genetic material in all cells (1-4). Vitamin B12 is bound to the protein in food. Hydrochloric acid in the stomach releases B12 from protein during digestion. Once released, B12 combines with a substance called intrinsic factor (IF) before it is absorbed into the bloodstream. Vitamin B12 is naturally found in animal foods including fish, milk and milk products, eggs, meat, and poultry. Fortified breakfast cereals are an excellent source of vitamin B12 and a particularly valuable source for vegetarians (5, 6, 7). The table of selected food sources of vitamin B12 suggests dietary sources of vitamin B12. BMI - BMI is a person's weight in kilograms divided by the square of height in meters. BMI appears to be as strongly correlated with various metabolic and disease outcome as are these more direct measures of body fatness. In general, BMI is an inexpensive and easy-to-perform method of screening for weight category, for example underweight, normal or healthy weight, overweight, and obesity. Also see Calculate Your Body Mass Index. Botanical - Herbal products, folklore, culinary herbs, natural cosmetics, organic products, historical herbal information. Brain Foods and Brain Healthy Nutrition - Learn all about which foods have been proven to offer brain health benefits, find out how certain foods can improve your brain, and get dozens of brain healthy recipes. Calorie Restriction Society - Dedicated to understanding and promoting the Calorie Restriction (CR) diet. CR is the consumption of a diet with adequate quantities of all essential nutrients, except that the energy content of the diet (caloric intake) is safely reduced (by as much as 10-40%) below the amount of energy (calories) that the body would tend to naturally desire, absent any special dietary measures. The goal of Calorie Restriction is to achieve a longer and healthier life by eating fewer calories and consuming adequate vitamins, minerals, and other essential nutrients. Carlson Nutritional Supplements - Product lines now include award-winning Norwegian fish oils, a full line of vitamins, minerals, amino acids, special formulations and nutritional supplements. Center for Science in the Public Interest (CSPI) - Nutrition advocacy organization. Provides information and conducts research on food, alcohol, health, the environment, and other issues related to science and technology. Also see CSPI Newsroom. ChooseMyPlate.gov - Dietary guidelines for Americans based on USDA Food Guidance System. Cod Liver Oil - A nutritional supplement derived from liver of cod fish. It has high levels of the omega-3 fatty acids, EPA and DHA, and very high levels of vitamin A, vitamin D and vitamin E. It is widely taken to ease the symptoms of arthritis as well as other health benefits. See Carlson Labs, Norwegian Cod Liver Oil Softgels and Carlson Labs, Norwegian Cod Liver Oil, Lemon Flavor at iHerb.com. Culinary Herb FAQ - A FAQ on growing, harvesting, using and preserving culinary herbs, for rec.gardens, alt.folklore.herbs, and the culinary herblist. Dietary Supplement Fact Sheets - From the NIH Office of Dietary Supplements. Dietary Supplements Labels Database - Provided by the U.S. National Library of Medicine. Enables users to determine what ingredients are in specific dietary supplement brands and to compare ingredients in different brands. Information is also provided on the health benefits claimed by manufacturers, although the claims made by the manufacturers have not been evaluated by the Food and Drug Administration. Eating Academy, The - Peter Attia on the science of nutrition, losing weight, reducing your risk of chronic disease (heart disease, cancer, diabetes, Alzheimer's disease, and many others), and improving your performance (physically and mentally). Fast Food Facts - Fast food restaurant and food comparisons such as Most Calories, Calories from Fat, Fat, Saturated Fat, Cholesterol, Sodium, Carbohydrates, Fiber, Sugars, Protein and more. Fish Oil - Derived from the tissues of oily fish. Fish oil is recommended for a healthy diet because it contains the omega-3 fatty acids eicosapentaenoic acid (EPA) and docosahexaenoic acid (DHA), precursors to eicosanoids that reduce inflammation throughout the body. Fish Oil, According to Science - A Jen Review. FitLife.tv - Fitness, nutrition, juicing recipes. Food and Nutrition Information Center (FNIC) - One of several information centers at the National Agricultural Library (NAL), part of the U.S. Department of Agriculture's (USDA) Agricultural Research Service (ARS). FNIC is supported in part by a cooperative agreement with the Department of Nutrition and Food Science in the College of Agriculture and Natural Resources at the University of Maryland. Food and Nutrition Surveys, Reports and Research - Maintained at the Food and Nutrition Information Center (FNIC). Food Research and Action Center (FRAC) - National organization working to improve public policies to eradicate hunger and undernutrition in the United States. Food Safety Resources and Sites - Compiled by Agriculture and Natural Resources, University of California. 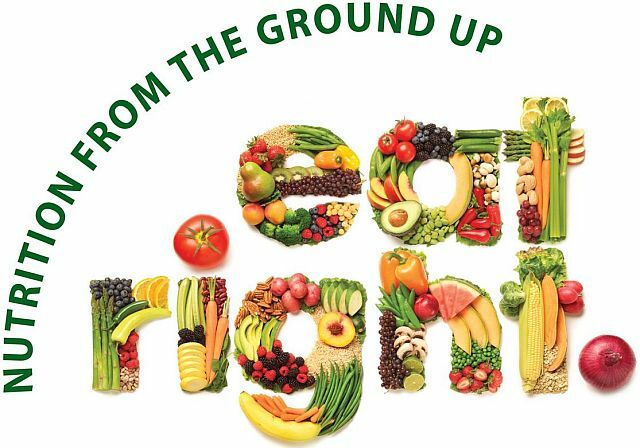 Forks Over Knives - Promotes a diet based on fruits, vegetables, tubers, whole grains, and legumes as making all the difference when it comes to good health. FSI Nutrition - Dedicated to enhancing athletic performance through the use of advanced nutritional supplements. Future Fortified - A public awareness campaign of the Global Alliance for Improved Nutrition (GAIN). Global Alliance for Improved Nutrition (GAIN) - An alliance driven by the vision of a world without malnutrition. Created in 2002 at a Special Session of the UN General Assembly on Children, GAIN supports public-private partnerships to increase access to the missing nutrients in diets necessary for people, communities and economies to be stronger and healthier. Good Food Institute (GFI) - Focuses on clean meat and plant-based alternatives to animal products -- foods that are more delicious, safer to eat, and better for the planet than their outdated counterparts. Herb Research Foundation - Research and educational organization focusing on herbs and medicinal plants. Herb Substitution Chart - You may find yourself in a situation where you are out of a specified herb in a recipe or perhaps you just don't care for that specific herb. This chart will help you choose substitutions or alternatives that should work with your recipe. Herb World News Online - Timely news from the world of herbs. Herbal Encyclopedia - Herbal and natural healing information. Herbalscape, The - Traveling extensively to find medicinal plants, many of them half forgotten, and bring them home, propagating them in diverse organic gardens, greenhouses and shadehouses, then moving the plants and seeds back out into the world. HerbMed - An evidence-based information resource for professionals, researchers, and general public that provides hyperlinked access to the scientific data underlying the use of herbs for health. iHerb.com - Vitamins, supplements and natural health products. Find the very best selection of nationally known brands: Now Foods, Natural Factors, Source Naturals, Life Extension (see all), at remarkably competitive prices, with no house brands. Joint Supplements: Is There Hope Behind the Hype? - The desire to find a miraculous cure to alleviate reduced mobility and arthritis pain is a natural one and leads many consumers to wonder if there's a product out there that their physicians have overlooked. Consumers are all too eager to believe testimonials-whether from a star athlete or an unknown fellow sufferer-and just as reluctant to have their bubbles burst by scientific evidence. A May 2007 article by Peter Pollack, published by the American Academy of Orthopaedic Surgeons. Linus Pauling Institute - The Institute functions from the premise that an optimum diet is the key to optimum health. The Institute's mission is to understand the molecular mechanisms and physiological effects of nutritional factors; to determine the function and role of micronutrients, vitamins and phytochemicals in maintaining health and preventing and treating disease; and to continue the pioneering efforts of Dr. Pauling in nutrition research. Medicinal Herb FAQ - A FAQ for alt.folklore.herbs and the medicinal herblist. Natural Healthcare and Nutrition - Natural health and nutrition guide offering information on natural herbs, vitamins, supplements and remedies for common and not so common health concerns and ailments. Natural Society - News and articles on natural health. Strongly support organic foods and purchasing from small, organic outlets and the complete labeling of products. NIH Office of Dietary Supplements - Supports research and disseminates research results in the area of dietary supplements. NUTRA USA - News stories and data of value to decision-makers in the supplement and healthy food industries in the USA. Nutri-Facts - Nutrition information on 6 thousand different foods. Nutrition.gov - Government information on nutrition, healthy eating, physical activity, and food safety. Nutrition and You - In-depth information about nutrition facts of the food, nutrition health articles, health benefits of fruits, vegetables, nuts, herbs, and more. Nutrition Business Journal (NBJ) - Serves the nutrition, natural products and alternative health care industries. Provides detailed market research for upper management involved in the nutrition industry and addresses impacts on the food, pharmaceutical and health care industries. Nutrition Data - Provide accurate and comprehensive nutrition analysis. The information in Nutrition Data's database comes from the USDA's National Nutrient Database for Standard Reference and is supplemented by listings provided by restaurants and food manufacturers. The source for each individual food item is listed in the footnotes of that food's Nutrition Facts page. In addition to food composition data, Nutrition Data also provides a variety of proprietary tools to analyze and interpret that data. These interpretations represent Nutrition Data's opinion and are based on calculations derived from Daily Reference Values (DRVs), Reference Daily Intakes (RDIs), published research, and recommendations of the FDA. Nutrition Facts - Find out what the latest science is saying about your favorite foods to help you make the healthiest choices for you and your family. Nutrition Low Down: Nutrition Facts - Browse for thousands of your favourite everyday foods and discover what they are made of. Data is based on the USDA National Nutrient Database, but reformatted to resemble a typical food label. Nutrition Navigator - Developed by Tufts University to help users find accurate nutrition information quickly. Nutrition Source, The - From the Harvard School of Public Health. Also see The Nutrition Source Healthy Eating Pyramid. NutritionData (ND): Nutrition Facts Analyzer - NutritionData (ND) generates nutrition facts labels and provides simplified nutritional analyses for all foods and recipes. ND tells you what's good and bad about the foods you eat, and helps you select foods that best meet your dietary needs. Office of Dietary Supplements (ODS) - The mission of ODS is to strengthen knowledge and understanding of dietary supplements by evaluating scientific information, stimulating and supporting research, disseminating research results, and educating the public to foster an enhanced quality of life and health for the U.S. population. Omega-3 Fatty Acids - MedlinePlus backgrounder: Omega-3 fatty acids are used together with lifestyle changes (diet, weight-loss, exercise) to reduce the amount of triglycerides (a fat-like substance) in the blood in people with very high triglycerides. Omega-3 fatty acids are in a class of medications called antilipemic or lipid-regulating agents. Omega-3 fatty acids may work by decreasing the amount of triglycerides and other fats made in the liver. Positive Health Wellness - Whether you're seeking healthy eating options, belly fat problems, trying to stick to a diet, struggling with eating healthy when you go out or dealing with the stress and depression which comes with losing weight, Positive Health Wellness will help you out. ScienceDaily: Nutrition News - Latest research in nutrition. Answers to questions about nutrition, body weight, herbal and nutritional supplements, and the role of diet in improving and maintaining your health. Self Nutrition Data - Nutrition facts, calories in food, labeling, and other nutritional information. Shape - Diet, fitness, recipes, healthy eating expertise. Spices: Exotic Flavors and Medicines - Explores the medicinal value of spices. The Way Up - Holistic physician Priscilla Slagle, M.D., provides natural remedies for optimum mental physical fitness on-line purchase of vitamins, herbs, amino acids, homeopathics, hormones. Online purchase of health products & books. Extensive alternative health information and books. Tropical Plant Database - Dedicated to providing information and education on the important plants of the Amazon Rainforest. Each plant file contains taxonomy data, phytochemical and ethnobotanical data, uses in traditional medicine, and clinical research including clinical abstracts. USDA Food and Nutrition Service (FNS) - Works to end hunger and obesity through the administration of 15 federal nutrition assistance programs including Women, Infants, and Children (WIC), Supplemental Nutrition Assistance Program (SNAP), and school meals. USDA National Nutrient Database for Standard Reference - Look up the nutrient content of over 8,400 different foods directly from this site. VERIS Research Information Service - Information on the role of nutrition in health with an emphasis on antioxidants. Vitamin and Mineral Supplement Fact Sheets - From the NIH Office of Dietary Supplements. Vitamins and Nutrition Center - Information on vitamins, the latest vitamins research, expert knowledge on vitamins and tips for proper supplementation with vitamins. Weil - Popular health, nutrition, vitamins and medicinal herbs, food as medicine site developed by Dr. Andrew Weil. Weston A. Price Foundation - Dedicated to restoring nutrient-dense foods to the human diet through education, research and activism. It supports a number of movements that contribute to this objective including accurate nutrition instruction, organic and biodynamic farming, pasture-feeding of livestock, community-supported farms, honest and informative labeling, prepared parenting and nurturing therapies. Specific goals include establishment of universal access to clean, certified raw milk and a ban on the use of soy formula for infants. Whole Health Connection - A wealth of information to enhance health and well-being through herbs, herbal medicinals, organics, aromatherapy, good nutrition and natural living. WIPO Intergovernmental Committee on Intellectual Property and Genetic Resources, Traditional Knowledge and Folklore - WIPO IGC is undertaking text-based negotiations with the objective of reaching agreement on a text (or texts) of an international legal instrument (or instruments) which will ensure the effective protection of traditional knowledge, traditional cultural expressions and genetic resources. This webpage last updated on Thursday, April 11, 2019 10:02 AM.